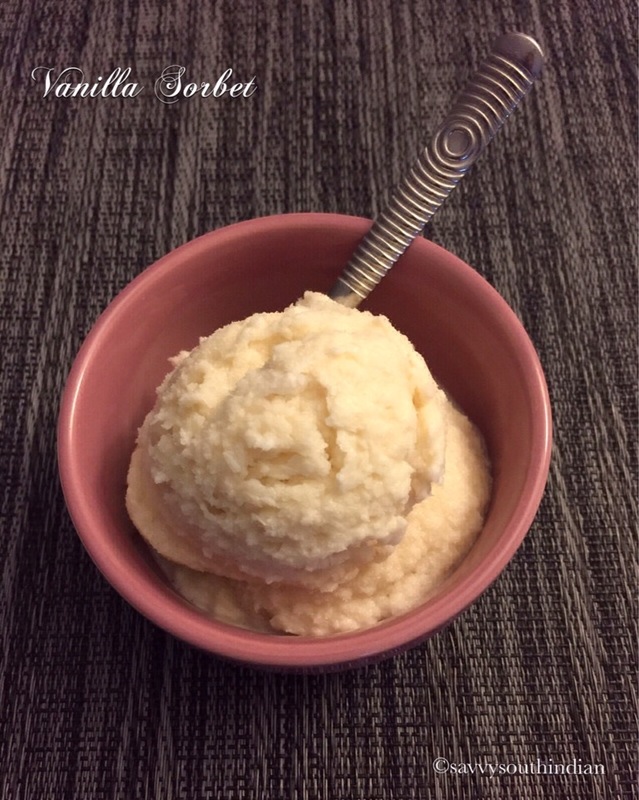 Sorbet is an icy treat usually made with fruit pulp but I made this unbelievably yummy vanilla sorbet exclusively with milk so it has the creamy taste of an ice cream and the classic texture of a sorbet. What’s not to like, right? It’s officially fall, but this this weekend was so warm, sunny and bright. We were craving for something cold. 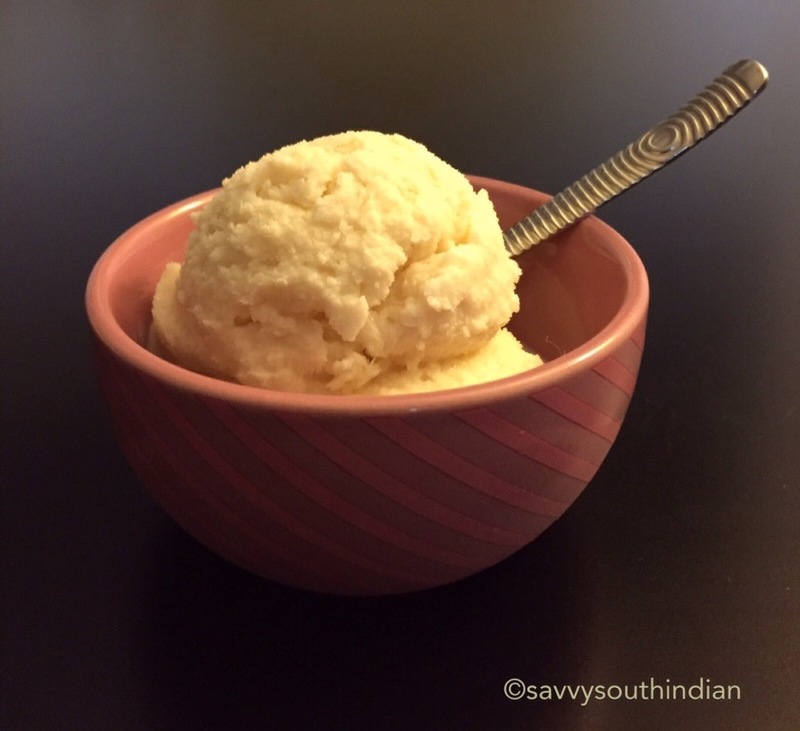 So I made this quick and easy 4 ingredients sorbet to satisfy our sweet tooth. It just turned out awesome. Making a sorbet is not as easy as you think , there is a science behind it. To achieve the icy texture, you need the right amount of sugar and water content. This recipe needed some experimentation because I was making it with milk instead of fruit pulp. I finally got it right and I am very excited to share it with you all. You can also use almond milk or coconut milk to make this sorbet. I wouldn’t recommend using complete fat free but reduced fat milk is ok. Since this sorbet is all about vanilla, use the best vanilla extract bean or paste. If you are using the essence (artificially flavored) all you need is 1/2 teaspoon. 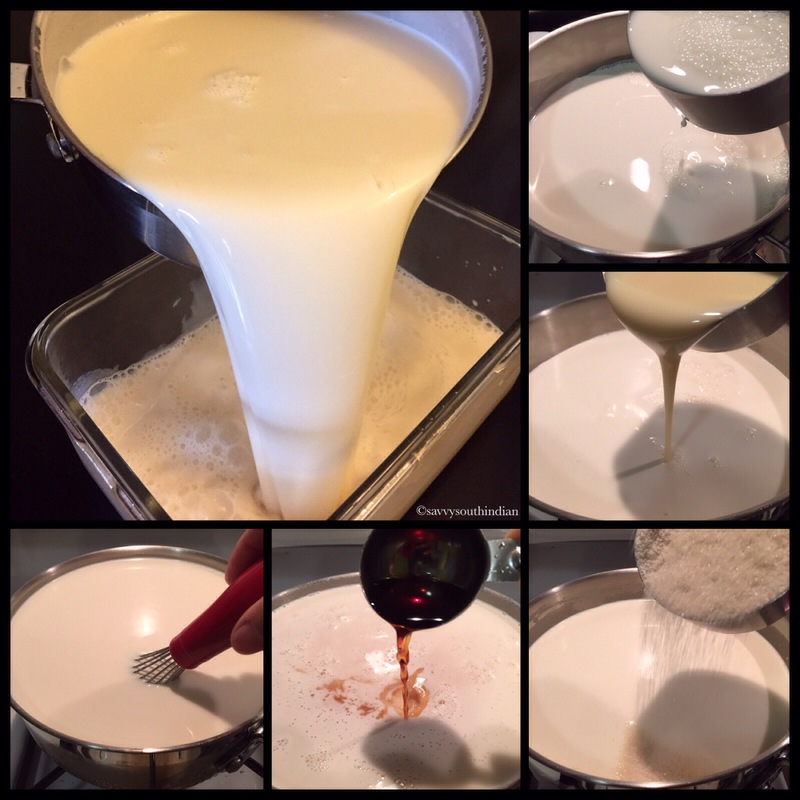 The milk mix might taste very sweet now but it mellows down when it freezes. This recipe yields 6 – 8 scoops of sorbet. You can easily cut this recipe in half if you are making a small batch. once it’s slightly warm, add the condensed milk and sugar. Keep it in a low flame for a couple of minutes, stir constantly until the sugar melts. Finally add the vanilla and mix it well. Take the pan off the heat and let it cool completely. Pour it in a glass container, cover it and freeze it for 24 hours for best results. I’m warning you! You might have a strong urge to dive into this pool of creamy vanilla goodness, man it’s so intoxicating!! My kids sneaked in a straw and started drinking this mix while it was cooling. Running the scoop on this sorbet is the most satisfying thing! 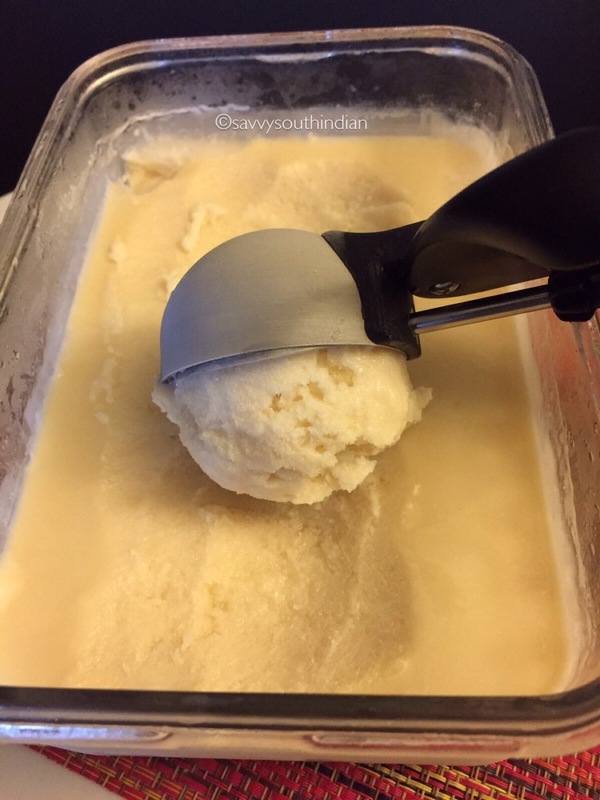 Look at that perfect scoop, Who needs to go to an ice cream shop if you can make this at home? The pure vanilla and the condensed milk gave this sorbet a dreamy cream color and it has got the perfect icy texture of a classic sorbet. It’s literally like a scoop of fluffy snow in your bowl. Mmm….. Heaven on Earth! A perfect treat on a hot sunny day. It’s sweet, icy, creamy and cold. There you go, I summed it up in four words. I have nothing more to say, looking at this is already torture for you guys, so go ahead and make some. All you need is just 4 ingredients and a whole lot of patience until it freezes. 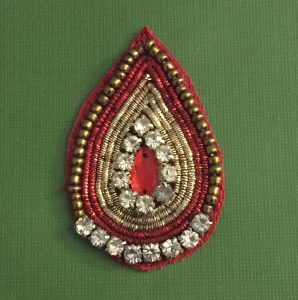 En…….joy! I added a scoop of my Special FRUIT SALAD to this sorbet, oh my, what can I say? 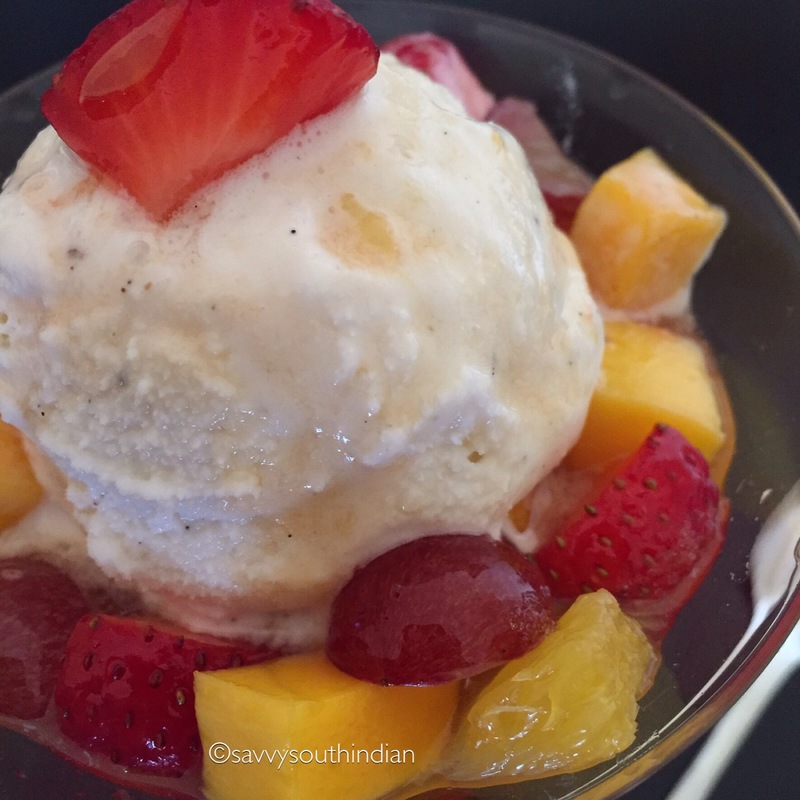 The crunchy fruits mixed with the melting icy vanilla sorbet was out of this world!. Don’t forget to check it out!